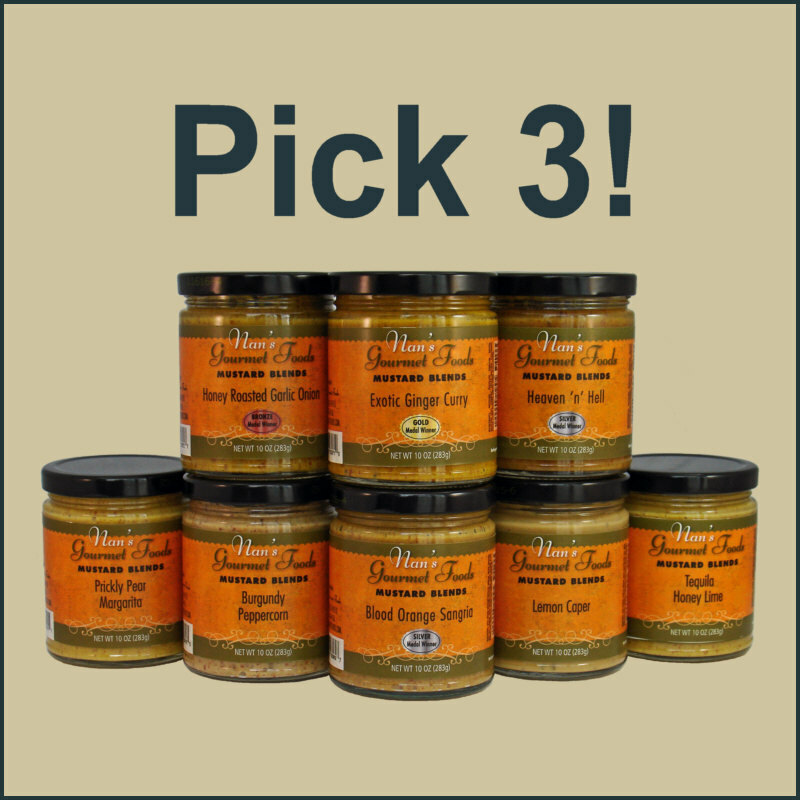 Nan's Gourmet Foods > Mustard Blends > Mustard Blends - You Choose 3! Can't decide on just one? Then why not pick three? And just because we are in a good mood, we will even provide them to you at a great price! Click on the picture to start making your choices! Make your three choices here. 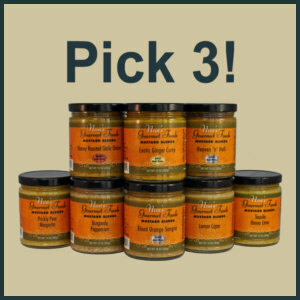 Select a mustard blend from each of the three 'drop down' menus & then click "Add to Cart".